Buy Online Now! 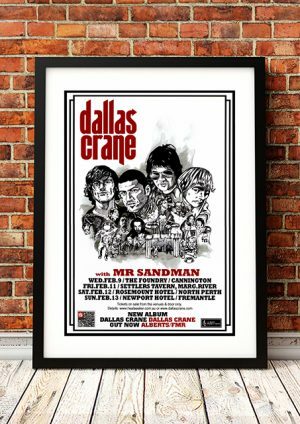 - Dallas Crane Rock Concert Posters and Memorabilia. 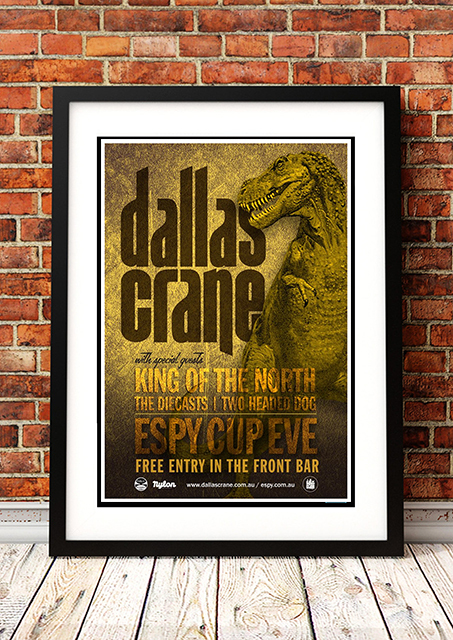 Dallas Crane’s critically acclaimed third studio album, self-titled ‘Dallas Crane’ attracted three ARIA Award nominations in 2004, including Best Rock Album. They have become a formidable staple in the Australian live rock scene. The name came from a building in which they used to rehearse called ‘Dallas Crane Transport’. It was a trucking station owned by family friends of the band. The guys liked the ring of Dallas Crane as a name and the way it presented in writing. We stock a great range of Dallas Cranen band concert posters.